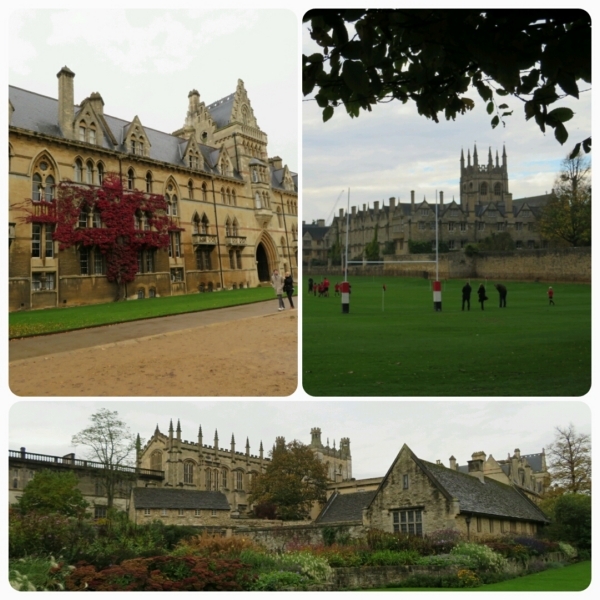 When returning from our trip to Wales, we made a stop in Oxford. A good friend of Annick recently moved there to study for a PhD. We went completely unprepared, because Sandra and her friend Peter would show us around. We just knew it was a prestigious university city. It turned out to be a very pleasant surprise: it is a truly stunning city! 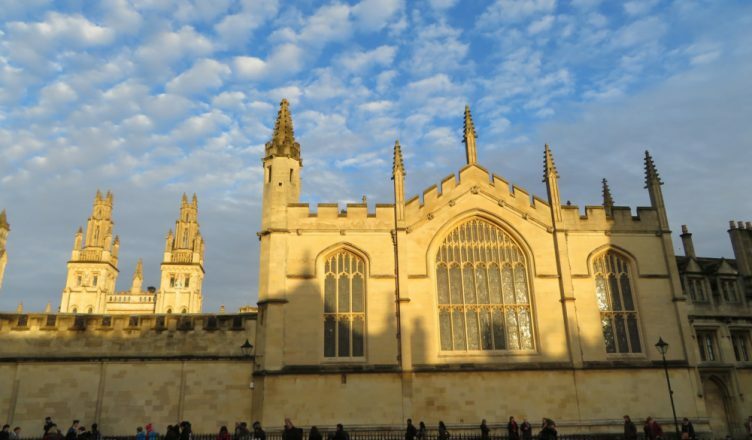 Oxford has no less than 38 colleges and 6 private halls. They are responsible for the tutorials and classes for their subjects and are of great importance to the whole student system. You have expensive and exclusive colleges and more accessible ones – but all look stunning. 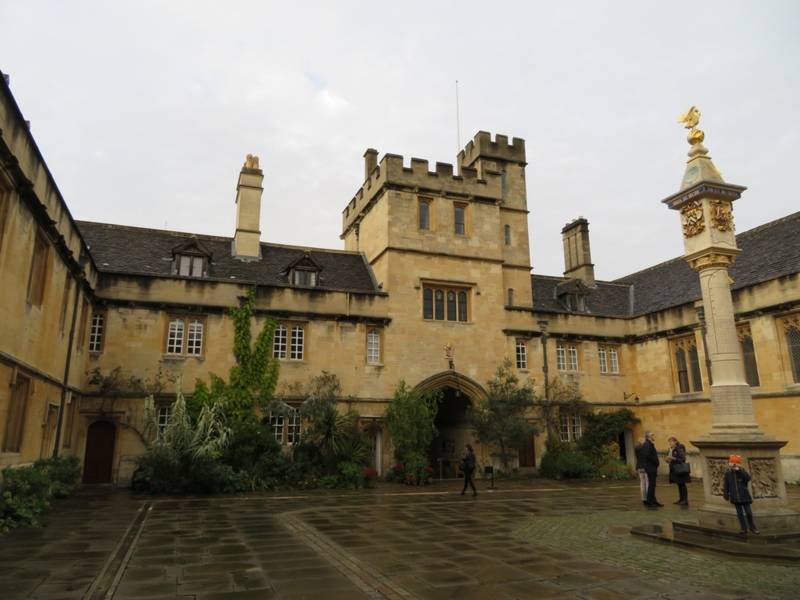 We had the privilege to get inside some of the colleges and buildings, because our guides study there. With their campus card they can show guests around. Some of the colleges allow tourists during certain hours, but others don’t allow any visitors in. Here are a few of our favourite snaps. 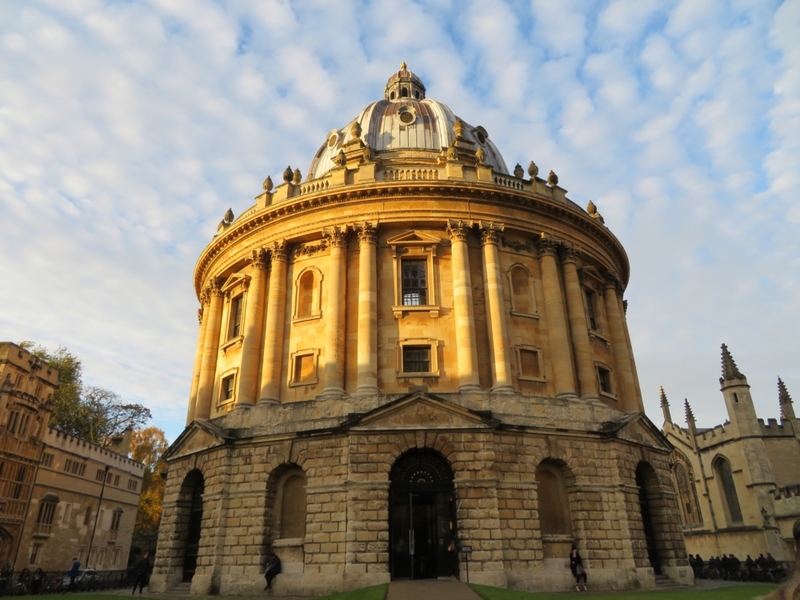 Radcliffe Camera (part of the Bodlean library). the Great Hall at Christ Church College, used as inspiration for the Great Hall in the movies. the Bodlean library, used as Hogwarts infirmary and where the students learn to dance. The Oxford museum of Natural History is possibly the coolest museum ever. 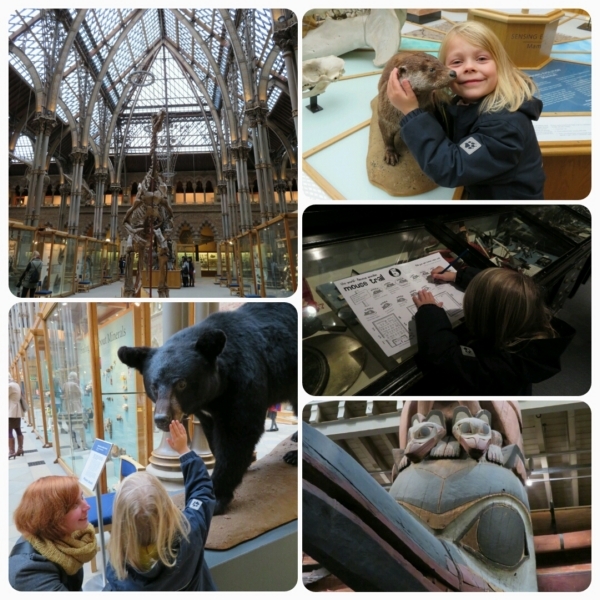 It has a big collection of animals, some of which you can actually touch, and a very big collection brought to the museum by mr. Pitt Rivers. In this part of the collection you’ll find objects from all over the world, from totem poles to medieval weapons, from African war trophies to miniature Saami house models. They are arranged by theme, which means you see the evolution in each kind of object. For children the museum has a wide range of activities available. Our girl did the mouse trail, where you have to find hidden mice in between the collected items. And the best thing of all: entrance to this museum is, like over 50 other national musea in England, completely free. At night you want to head out to the Jericho area. Take your pick out of great pubs or lively cocktail bars and sip the night away! 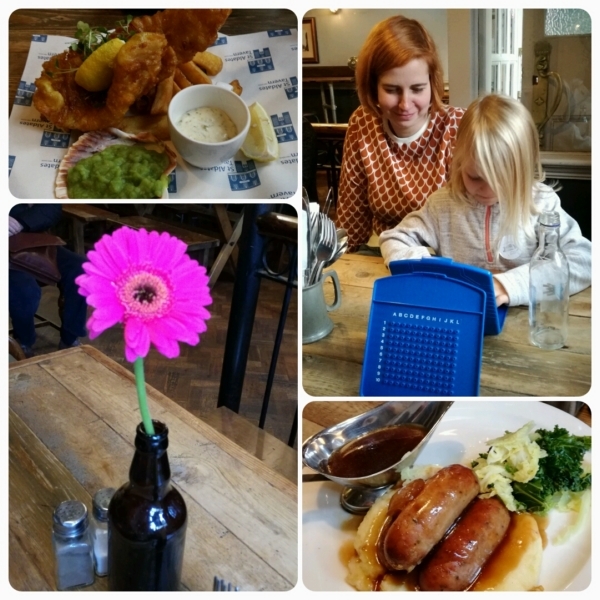 We enjoyed the French atmosphere at The Old Bookbinders. Food @ St. Aldates Tavern. We can highly recommend spending a day or two in this lovely University city. Have you ever been? What part did you like the most?